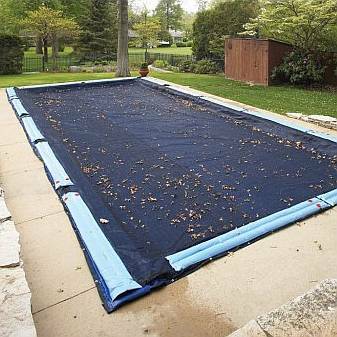 Avoid the Spring hassle of cleaning debris from your pool with an In Ground 12ft x 27ft Pool Winter Cover. We carry a large selection of In Ground Pool Covers at discount prices to meet your pool cover needs. We offer sturdy economy winter covers as well as high quality and durable Arctic Armor pool covers.